Answer these questions honestly to be off and running on your next church project. In every project there are always a number of driving factors. However, determining the importance of each is key. 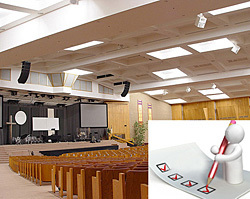 Use this checklist to carefully assess your system needs and you’ll be well on your way to a successful church sound system project. This is critical when room acoustics are considered. Congregational singing benefits from strong room reflections, which naturally reinforce the singers voices. An acoustically “dead” space makes singing uncomfortable. On the other hand, the strength of the reflections directly affects speech intelligibility in a negative way. If the priority is the spoken word then room acoustics should be so weighted. A space designed for both requires some compromise and careful attention to the design of the speaker system. Consider whether various styles of events such as plays, orations, bands, choirs etc are to be presented. Choirs require the use of long-range “choir mics”. There is simply no way a choir can be amplified when located right beside a drum kit/bass guitar/rock band or any loud sound source without also amplifying the other sound as well. This produces a very poor mix of choir voices and backing instruments. Plays and musical shows require stage management and coordination by a stage manager who needs paging and announcement facilities in dressing rooms etc from a backstage location. This can be managed on a budget through the main house mixers auxiliary send system or bus system in conjunction with a “Push To Talk” style mic for the stage manager, but the wiring needs to be in place first, rather than last. Following from the point above… IF pantomime style shows are contemplated please consider the need for headset comms between stage manager, sound and light controllers, stage hands (scene changes etc). There are wired and wireless comm types available in a great range of capabilities. It is therefore worth working through your needs carefully. This is obviously a job for an architect. There is, however, great merit in getting a sound system consultant involved at the drawing board stage. This work, along with that of an acoustical consultant, provides very valuable input to the process of simple things like whether choir mics will work or not. If you can locate a consultant with dual capabilities, so much the better. A PA system consultant should be able to give a fair idea of just what options are available at what approximate costs. Determine what you want your sound system to be capable of, and budget accordingly. Broad-brush figures should suffice early in the planning stage but be prepared to be flexible. There are more than enough sad cases wherein too little money was allocated to this discipline in the first place and a second rate or simply inadequate outcome results. This either means people have to live with a bad system or find another sum of money to retrofit new equipment. Retrofitting is always more expensive than getting it right the first time. Consider whether you want to install the sound system yourself. For example, determine if there will be loudspeakers/equipment mounted overhead in public places. If so, do you have the skills and resources to ensure the mounting system meets engineering safety requirements? Another example: are there skills and workforce power available to correctly connect the cables and test the sound system after completion to ensure all id’s functioning properly? For some systems (where there are multiple speakers and possibly with digital delay requirements) this can involve specialized test equipment. Some items don’t suffer much with age and sensible use. Buying a good quality mixing desk or amplifier second hand can often get you a much better unit than you would otherwise be able to afford. Testing will usually reveal any problems and the risk of buying a bad unit minimized. Loudspeakers are not so easy to test and they do suffer mechanical stress. It pays to be extra careful in buying second-hand loudspeakers. Rock music usually demands higher sound levels, especially at the low end of the spectrum in amplified bass guitar and drum sounds. There is often an associated need for volume limiting to protect loudspeakers and equipment. Range of instruments to be amplified? A list of all instruments likely to be part of the show/service will help determine the system capabilities. An electric organ, for instance may create a need for special speakers capable of reproducing the bass pedal notes. Instrument mic on a boom? Note that every microphone contributes it’s own contribution towards feedback. The fewer microphones in use at one time, the cleaner the sound. Please take care in accounting for all the sound sources/instruments that will need simultaneous amplification. Sound system components like mixing consoles loose value very quickly. Trading up to a larger unit can be expensive. This relates back to music style to some extent. Amplified drum sound in a small room is usually overkill. Low ceiling heights can cause real difficulties for even sound distribution sometimes requiring ceiling speakers to resolve the problem. List all the different speaking and singing styles. For example, will there be a choir? Will there be need for a lectern mic or lapel mics? The shape of the room and layout are extremely important to the business of avoiding feedback. Is there a need for roving microphones? This has a strong effect on the type of equipment that will be suitable and the price and effectiveness of feedback elimination systems. Modern UHF wireless microphones are of two basic genres: fixed and frequency agile. The fixed frequency units are much lower cost but might not survive the introduction of a new TV station or translator to the area. Will the whole system need to travel? 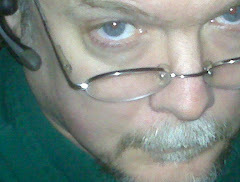 Relates to wireless microphones Fixed frequency units may not work at all if taken to another location. Noise pollution statutes can affect the design of a building to contain sound. Special requirements will apply if you intend to use the auditorium for events requiring licensing permits, for example, multi-purpose assembly halls. Nearby traffic noise, for instance, can be a real distraction. What level of expertise does the average operator have? System designers can make adjustments to cater to some extent for novice operators. Experienced, skilled operators, however, demand and make use of a wider range of facilities. A high-power, complex system can serve to confuse novice operators and mitigate against the likely success of the system. Is there a need for foldback? Foldback loudspeakers allow vocalists to hear their own voice, instruments, etc. The use of loud foldback systems can be quite detrimental to the delivery of good sound in the listening space, however. What are the architectural restrictions? The sound controller should ideally sit in a position which reflects an average of the sound in the listening area. Ideally, simply in the middle of the listeners. Because the whole audience hears the whole service through the sound engineers ears. Whilst it is useful to co-locate light and sound control desks it is wise to maintain separation of audio and high power light dimmer cables. Will there be multi core “snake” cables used? Drawing snakes through ducts can be difficult. Consider your capabilities in removing the connectors, which, in a bunch, are usually too large to fit through a conduit. The use of audio “snake” cables is cost effective but the diameter of the cable is large - and arge radius bends are needed in ducts. It is also better to put too many ducts into a concrete slab than risk under-doing the job. Needs to be chosen carefully to plan not only for pre-cabling and audience coverage but also for ensuring adequate support structure is in place. The length of a speaker cable run is a determinant in wire size required. Long runs require larger diameter cables. A proper design includes wire size calculations to maintain proper “damping factor” of the speaker to avoid excessive cone excursion. Power distribution and nearby radio/TV? The requirement for separate power cable feeds to different parts of a sound system can bring about a need for specially chosen “hum resistant” equipment and/or isolation devices and special cabling techniques in severe cases. Radio frequency interference (RFI) needs to be considered in the same vein. Physical access to cabling and equipment is crucial to future serviceability, Try to ensure that ample removable panels are provided because every sound system needs updating sooner or later and all equipment made and installed by humans has a failure rate. Electronics (generally) and power amplifiers (especially) require generous air movement to maintain temperature stability. Try to ensure generous ventilation gaps are provided top and bottom of racks/cabinets to facilitate thermal air movement.